Synopsis : Martha Carrier was hanged on August 19th 1692 in Salem, Massachusetts, unyielding in her refusal to admit to being a witch, going to her death rather than joining the ranks of men and women who confessed and were thereby spared execution. Like her mother, young Sarah Carrier is bright and wilful, openly challenging the small, brutal world in which they live.In this startling novel, she narrates the story of her early life in Andover, near Salem. Her father is a farmer, English in origin, quietly stoical but with a secret history. Her mother is a herbalist, tough but loving, and above all a good mother. Often at odds with each other, Sarah and her mother have a close but also cold relationship, yet it is clear that Martha understands her daughter like no other. 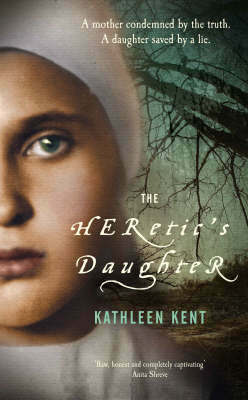 When Martha is accused of witchcraft, and the whisperings in the community escalate, she makes her daughter promise not to stand up for her if the case is taken to court. As Sarah and her brothers are hauled into the prison themselves, the vicious cruelty of the trials is apparent, as the Carrier family, along with other innocents, are starved and deprived of any decency, battling their way through the hysteria with the sheer willpower their mother has taught them.